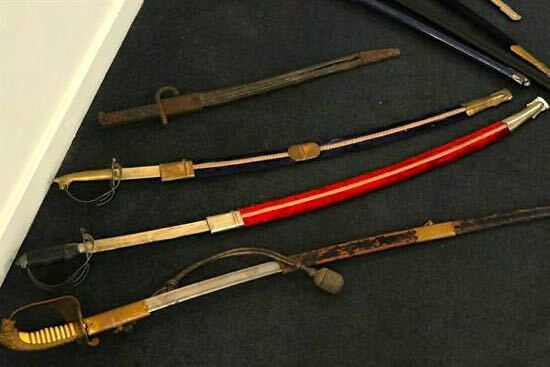 Police say that swords, cleavers, combat knives, and knuckle dusters were part of the haul of unwanted knives and other potential weapons handed in at Hatfield, Stevenage, and Watford police stations during amnesty week - 56 more than were surrendered last year. Hatfield police station recorded the highest number of items with 90 being handed in. The Hertfordshire force was taking part in a national knife amnesty called Operation Sceptre, which ran between September 18 and 24. 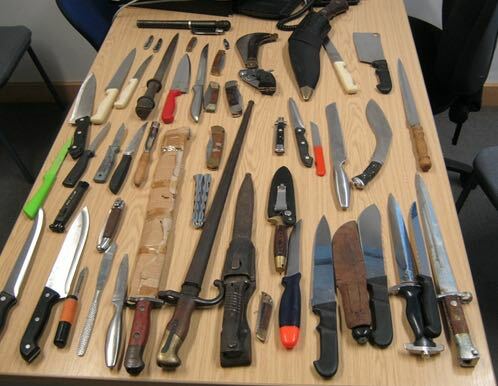 Police and Crime Commissioner for Hertfordshire, David Lloyd, said Operation Sceptre was part of the effort to reduce the number of knives on the streets and also provide an opportunity to raise awareness of the issue. 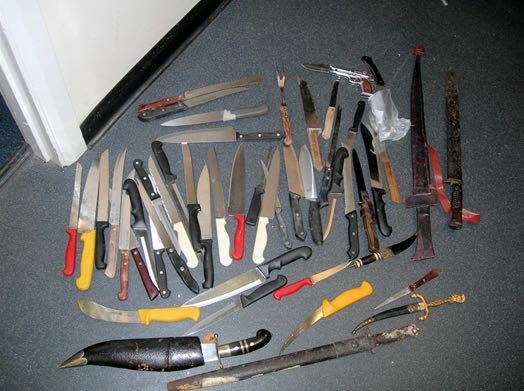 "It is great that there has been a positive response to this campaign and a number of knives have been surrendered. However, we all need to continue to work together in Hertfordshire to educate young people about the dangers of knives and crack down on those who are carrying weapons." Inspector Andrew Palfreyman from Hertfordshire Constabulary’s Crime Reduction Unit, who led the campaign, said there had been a great response from the public. 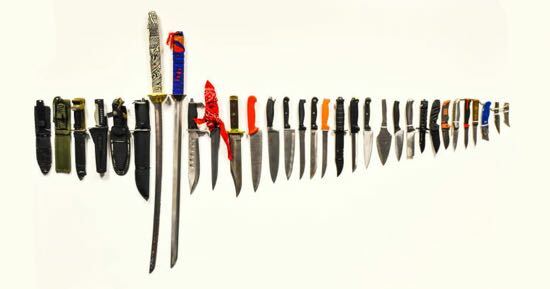 "The amnesties are a good way to reduce the number of knives in circulation and we have also carried out a number of knife detection and test purchasing operations." Inspector Palfreyman says that over the next three years Hertfordshire Constabulary will be implementing a Serious Violence Strategy, a longer-term plan for dealing with knife crime in the county. "As part of this strategy we are looking at how we can educate young people about the potential consequences of carrying a knife, which is not only putting themselves at risk of injury but is also illegal and if they are found carrying one they will be arrested. We will also be looking at the impact that knife crime has on individuals, their families and communities and how knives are getting into the hands of under 18 years olds, as well as targeting those we know are carrying knives."